This easy-to-make simple broccoli salad is loaded with everything good - bacon, apples, cheese, onion, carrots, craisins, walnuts, and of course fresh broccoli. 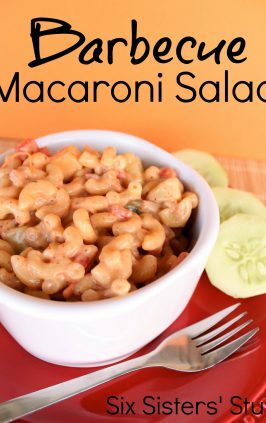 Toss it with the homemade dressing and it will be a delicious side dish for all your summer BBQ's. 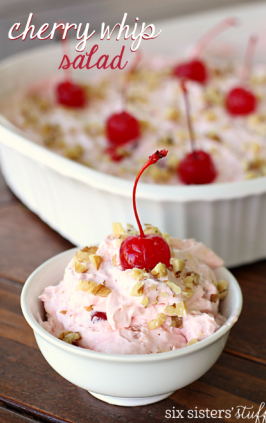 We are so excited to be partnering with Kroger to bring you this delicious recipe! Thank you for allowing us to share with you products and brands that we love. For the past few years, we have been on Kroger’s Influencer Council and a few weeks ago I had the opportunity to fly out to their headquarters in Cincinnati, Ohio, and learn about all the new and exciting things they have going on with their company. 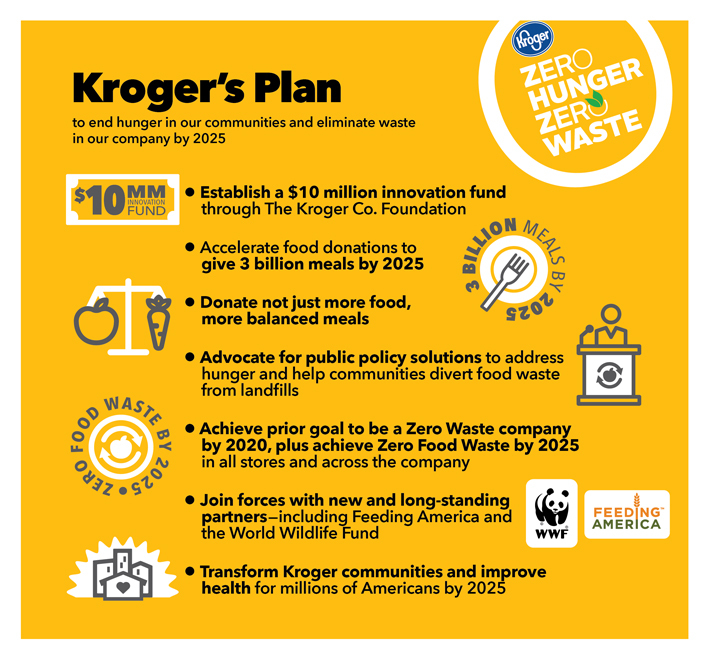 One the highlights of my stay was learning about Kroger’s new Zero Hunger, Zero Waste initiative. I love that they are active in their communities and that they really want to help end hunger and eliminate food waste across the country. Did you know that 1 in 8 Americans struggle with hunger?? That statistic boggled my mind! We learned about delicious and unique ways to recycle our food and things that Kroger was doing to help end this hunger epidemic. Of course no food blogger event would be complete without FOOD! 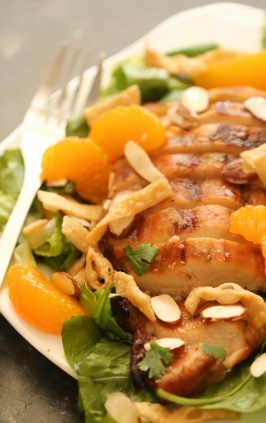 Each blogger was asked to prepare a different dish for a Summer BBQ Celebration (Red, White and BBQ!) . . . can you imagine dining with a room full of foodies who have each prepared an amazing dish? 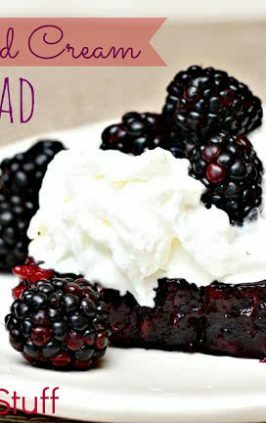 These recipes are INCREDIBLE! The recipe that I made for the Summer Celebration Dinner was a Loaded Broccoli Salad. I have tried a lot of different broccoli salads and I took all my favorite parts of each salad and combined them. 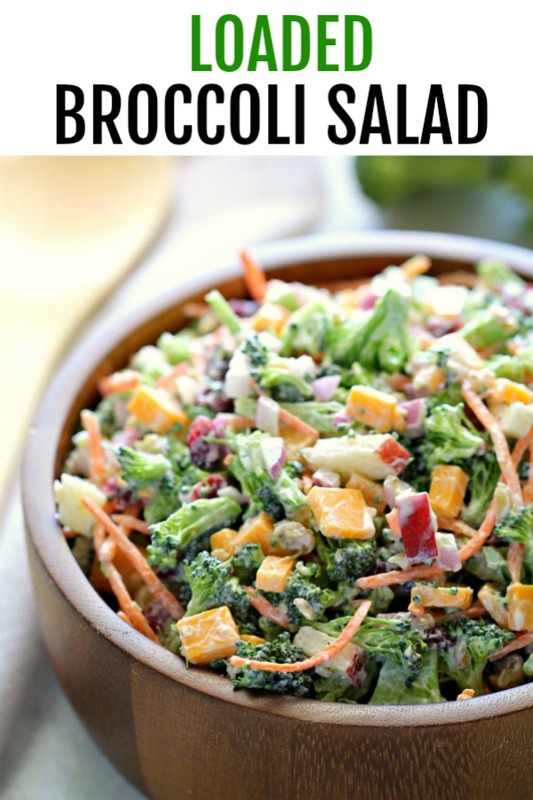 Summer potlucks and parties are all about the food and I love that broccoli salad is a delicious alternative to the potato salads and jello salads that are served at BBQs. 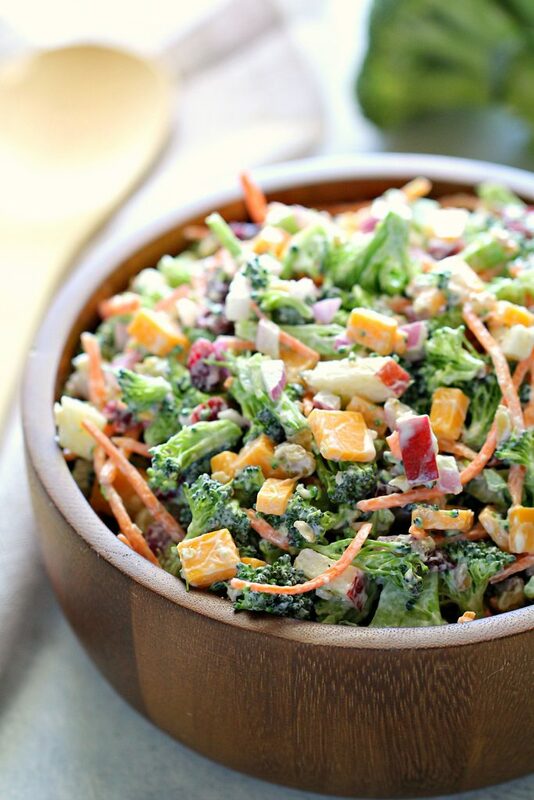 I love broccoli salad because it’s loaded with nutrients and vitamins (it’s the only way I will eat fresh broccoli!) 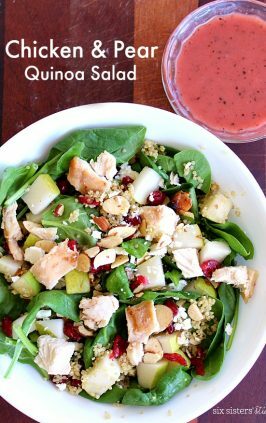 and the added flavor of the dressing makes this a crowd favorite! 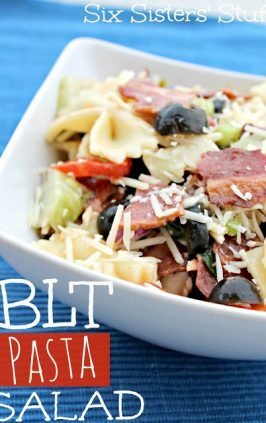 I wanted to make a dish that could be thrown together in the shortest amount of time possible, so I am going to share some short cuts with you that make this such an easy dish! 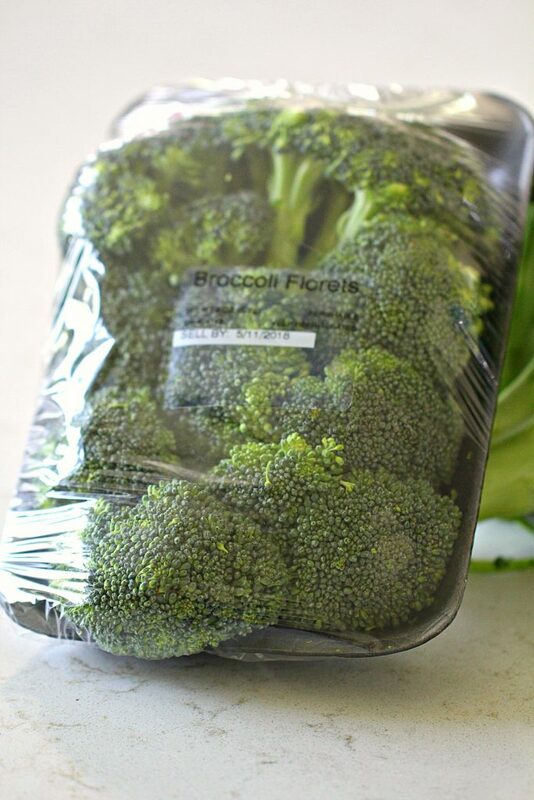 My first time-saving tip is to use the fresh broccoli florets that you can purchase from the produce section at your local Kroger. This not only saves me time, but also the mess that happens when you are chopping up broccoli! If you want, you can chop up the broccoli into even smaller pieces, but it is completely up to you. 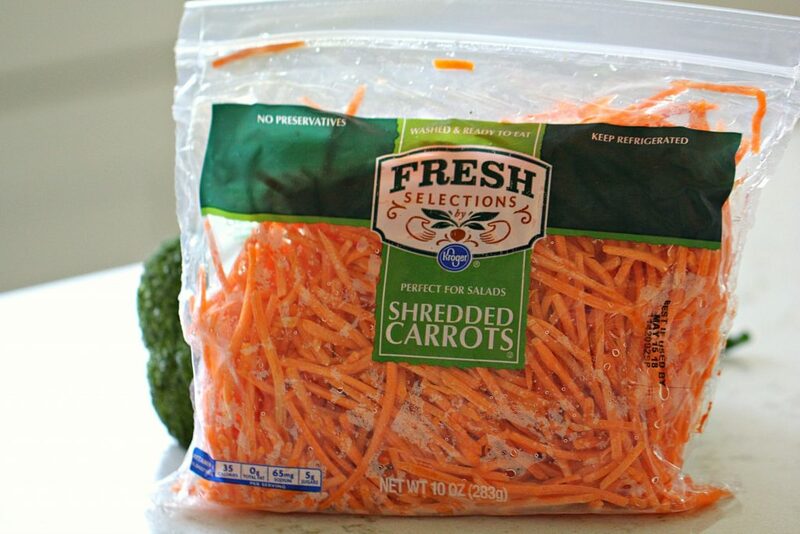 My next time-saving tip is using these Kroger shredded carrots – all you have to do is dump them in! No peeling, no cutting, no dicing . 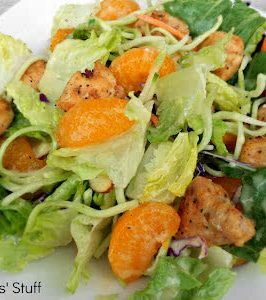 . . using shredded carrots from the produce section at Kroger makes this salad so easy to throw together. When I was making this salad, I just added all of these ingredients to my ClickList cart and picked them up later that day. Have you tried this service yet?? It is definitely the ULTIMATE time-saver! As a mom with 4 kids, ClickList is the best invention of all time. I order my groceries on my app, schedule a pick-up time for a little later that day, then swing by and pick it up! ALSO – they have DELIVERY (it’s a life changer). 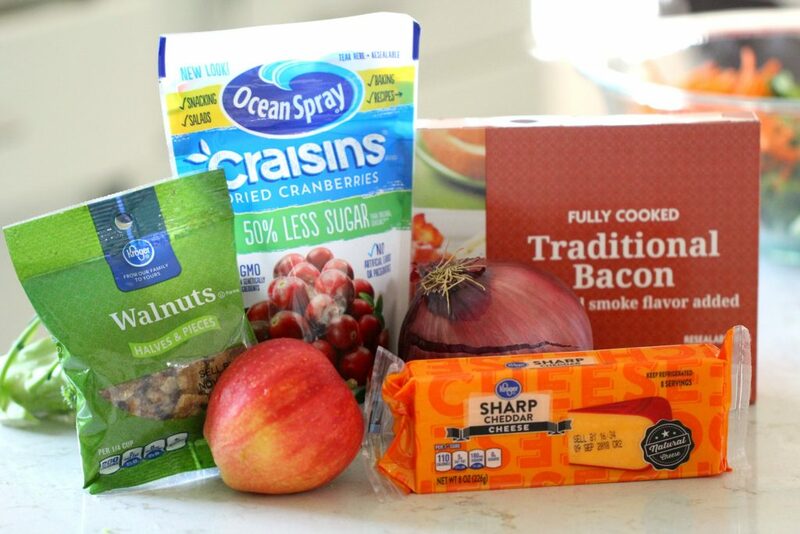 After chopping up the apple, onion, cheese, and bacon, throw all the ingredients into a large bowl. 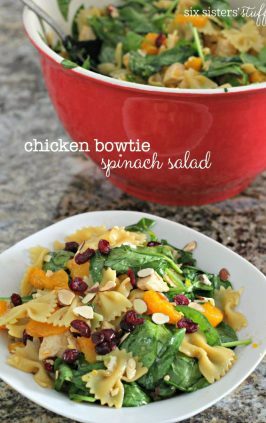 This salad will feed the masses, so you want to make sure you have a bowl big enough to hold all of it! Now to make the simple dressing. The dressing for this salad is simple – only 5 ingredients needed. After trying a lot of different broccoli salad recipes over the years, I decided to mix it up by using equal parts mayonnaise and Greek yogurt. I feel that the Greek yogurt makes the dressing a little tangier and not so mayonnaise-heavy. I also added a little bit of red wine vinegar, fresh lemon juice, and a tiny bit of sugar. Some broccoli salads use TONS of sugar in their dressing (up to 3/4 cup! ), but it is just not necessary with the flavors that we have from the other ingredients. 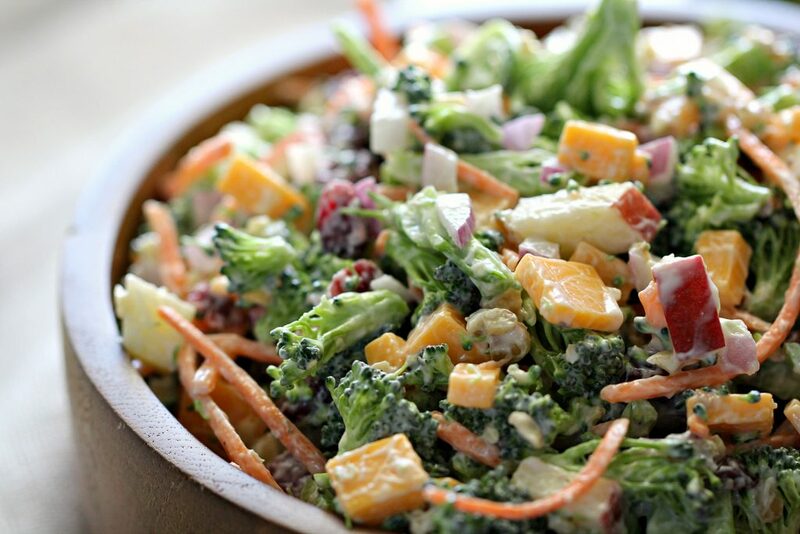 Mix the dressing ingredients together and gently fold it into the broccoli salad. You can serve immediately, but I actually prefer to let it sit in the fridge for 1-2 hours before serving to really let the flavors meld together. 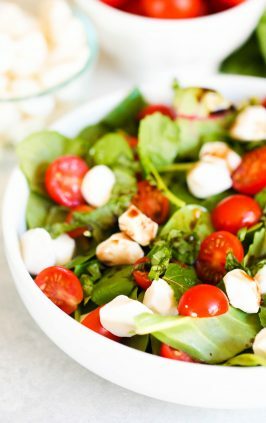 This salad will stay fresh 1-2 days in the fridge and I personally feel that the flavors get better after each day! 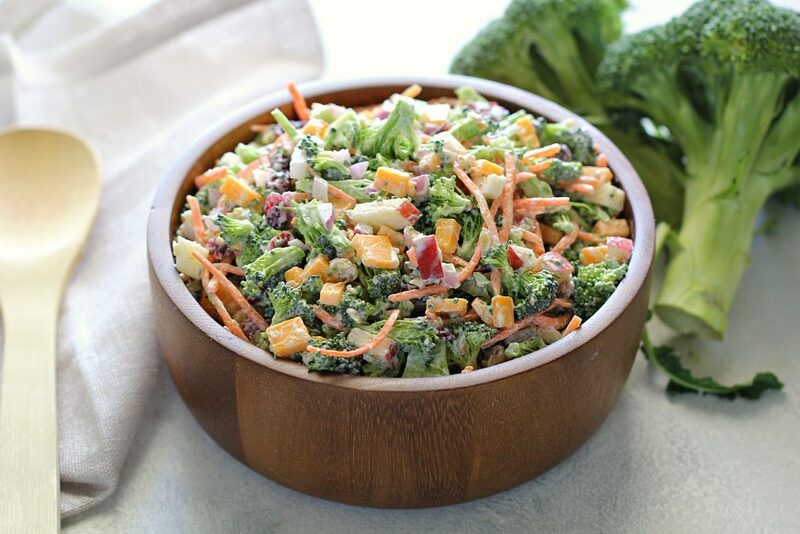 If you have a favorite way to make Broccoli Salad, please share in the comments below! 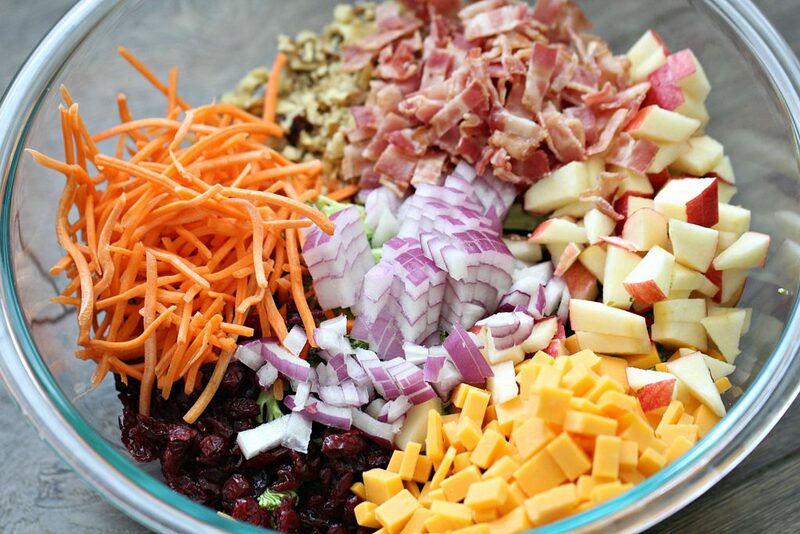 In a large bowl, mix together broccoli, carrots, onion, apple, craisins, walnuts, cheese, and bacon. In a smaller bowl, combine dressing ingredients. Gently fold the dressing into the broccoli bowl until all ingredients are coated with dressing. Cover and chill in the fridge for 2 hours before serving. Salad will remain fresh for up to 2 days covered in the fridge. Love your recipes! Do you offer nutrition information? The second clue for the MyRecipeMagic Treasure Hunt is "FOR". Enter this word to get the extra entries. The second clue for the MyRecipeMagic TreasureHunt is "FOR". I made this tonight because I wanted to try it! I have made a broccoli salad before that had grapes in it. I was excited to try the craisins! This was delicious, although nobody else in my house wanted to try it so guess that means more for me! My friend was over and she tried it and loved it too. 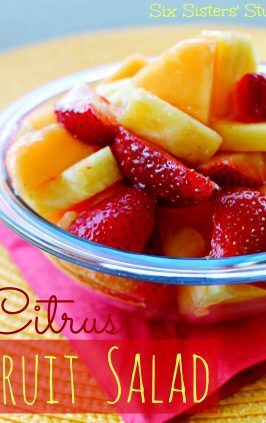 This is a nice change from regular salad and would be great to take to a barbeque. 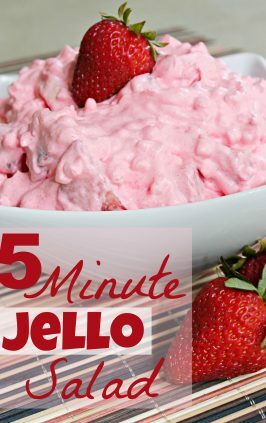 I didn't have low fat mayo so I just used regular and I am not a fan of greek yogurt but I used it. I will definitely make this again! Thank you for the recipe! 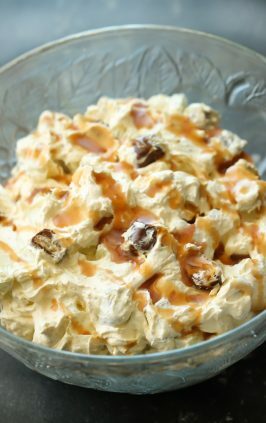 I might try it with pecans next time! Love love love! It was addicting! Shared some with a friend tonight. My oldest daughter will be eating some tomorrow and have some to give my in laws! Looking like this is gonna be a regular for me for awhile! Only thing I changed was skipping the mayo, just used double Greek yogurt. Hi Jeanne, So good to hear from you and thanks for leaving such a nice comment on our loaded broccoli salad. 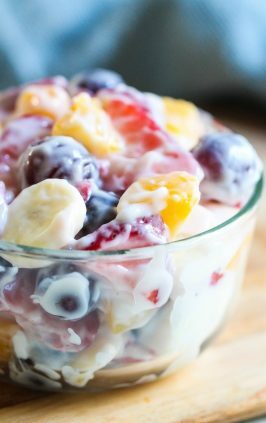 We appreciate you stopping by our site for recipes. And way to go for being to good with Weight Watchers. Glad the broccoli salad helped keep you on track! :) Have a terrific weekend. 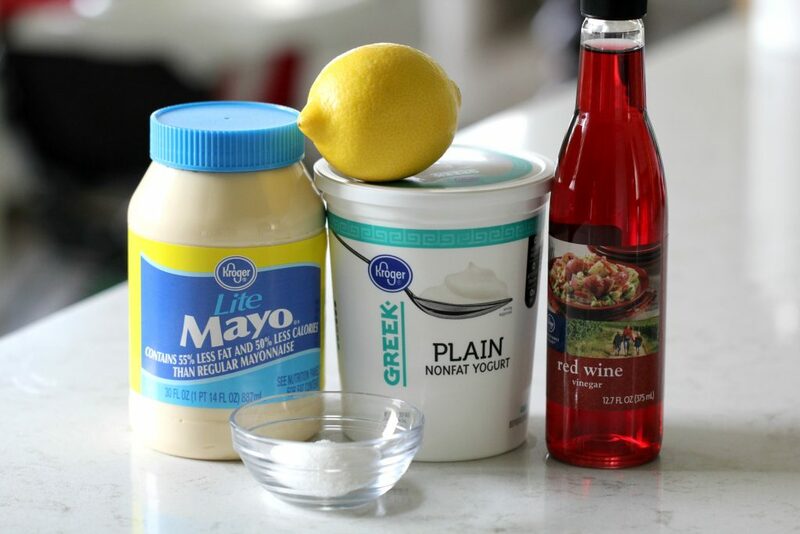 What would you use instead of mayo. I’m not a fan of mayo and wondering if using all Greek yogurt would work.